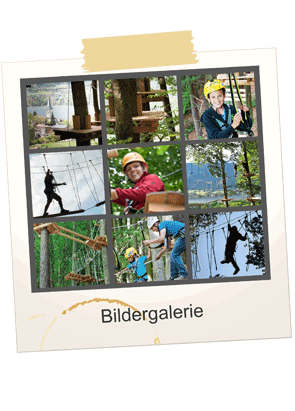 Kletterwald Ossiacher See | Team Building Events in Carinthia! 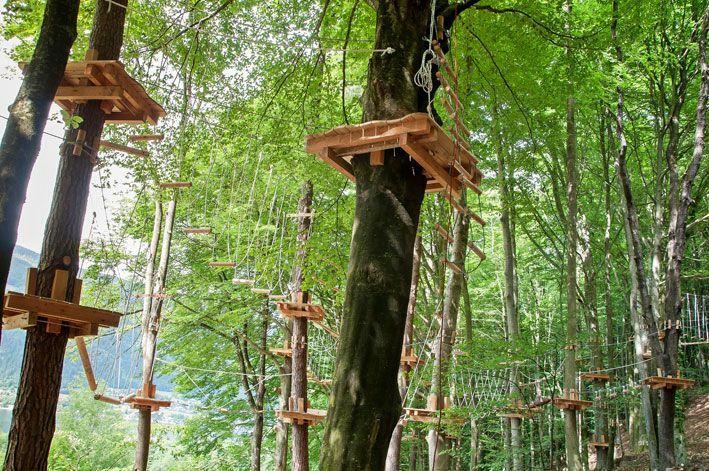 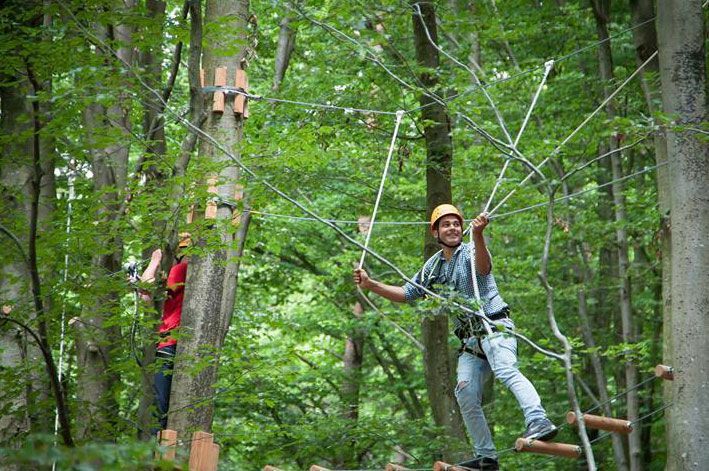 Inspire and challenge your employees with a challenging, cohesive and memorable team building event in the high ropes course/climbing forest (Kletterwald). 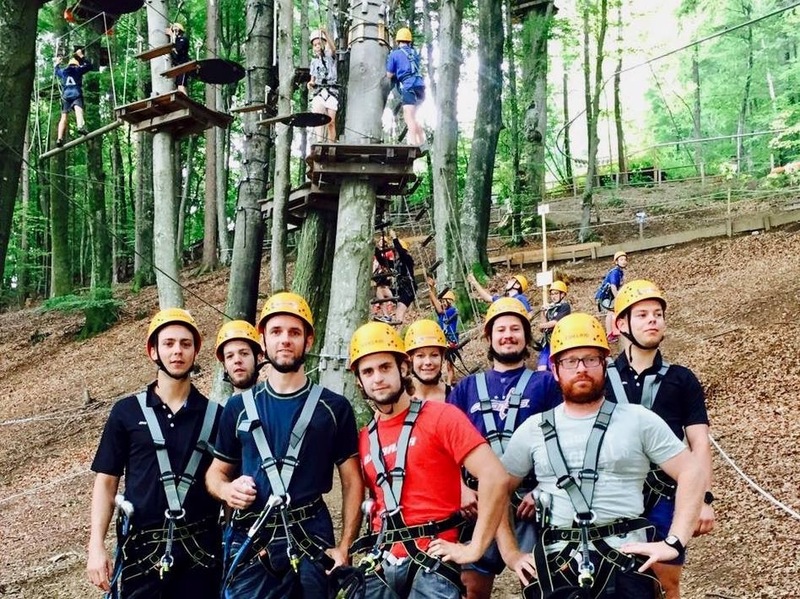 Courses with varying degrees of difficulty guarantee that each employee is individually challenged to leave their comfort zone, work as a team together and also have a little fun! 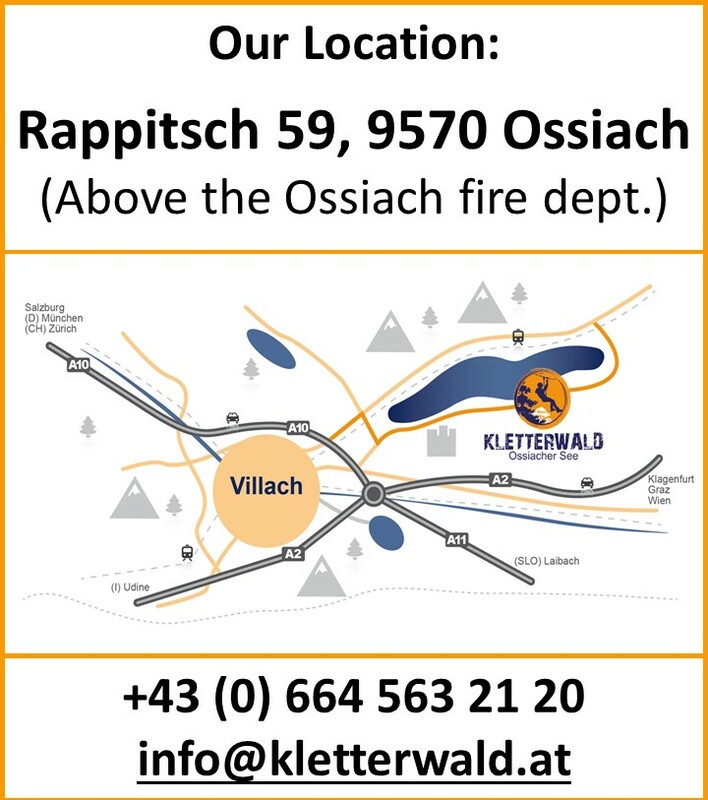 Just five-minutes walk from the center of Ossiach, the Kletterwald offers the perfect location for your team building event in Carinthia. 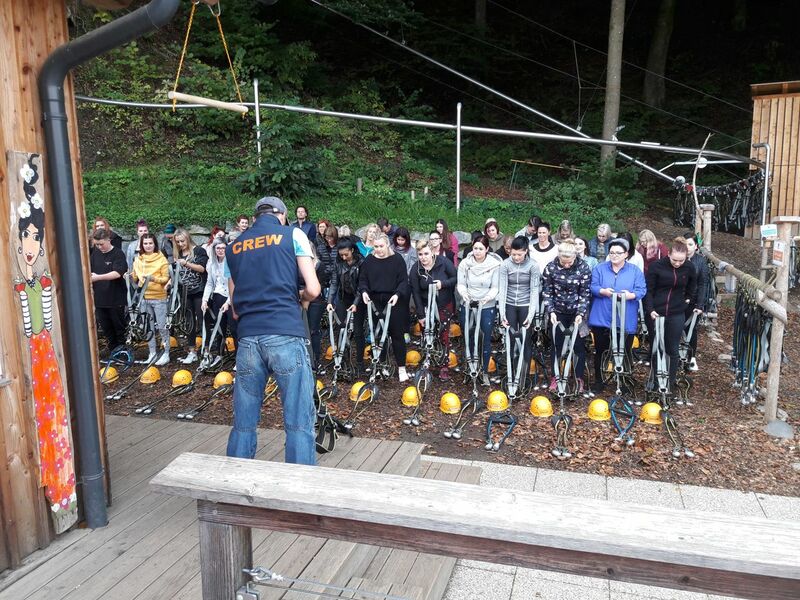 Reservations for team building events can also be made outside of our regular opening times and days. 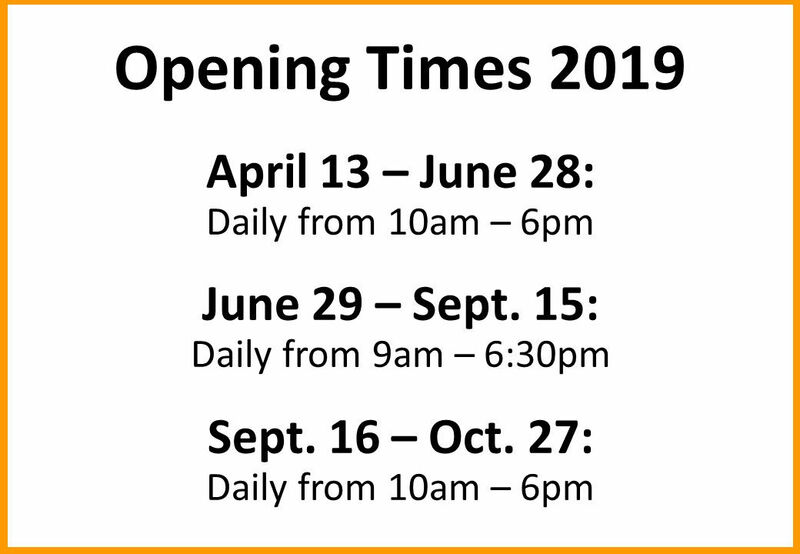 Please feel free to contact us for more details or to reserve your event. 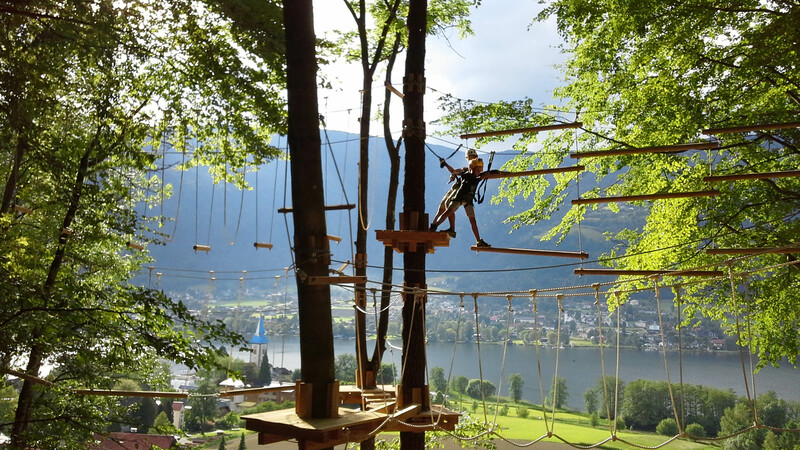 More than 100 exercises in various difficulty levels suitable to each individual employee, breathtaking views and fresh forest air, guarantee your team building event will be an unforgettable experience for everyone. 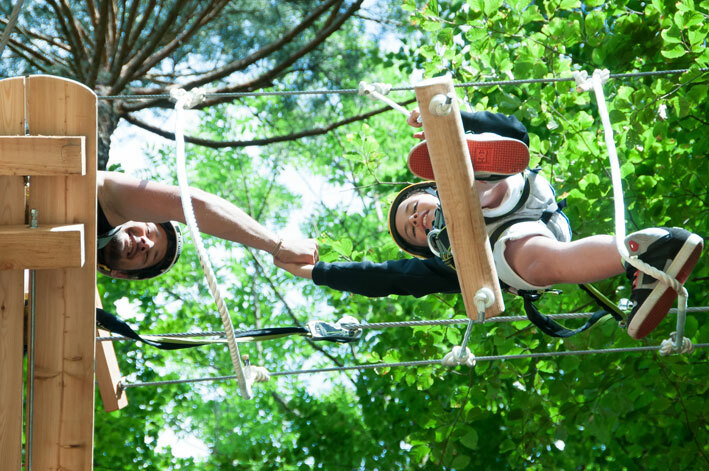 An event which will surely strengthen the bond of those working together on a day-to-day basis. 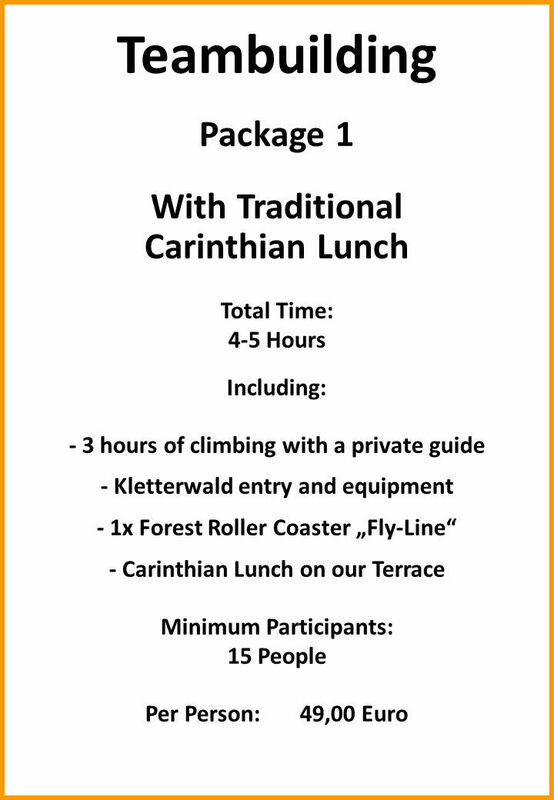 Included in the Team Building package is one ride on our forest roller coaster “Fly-Line.” This fun ride will add an extra thrill to your special day. 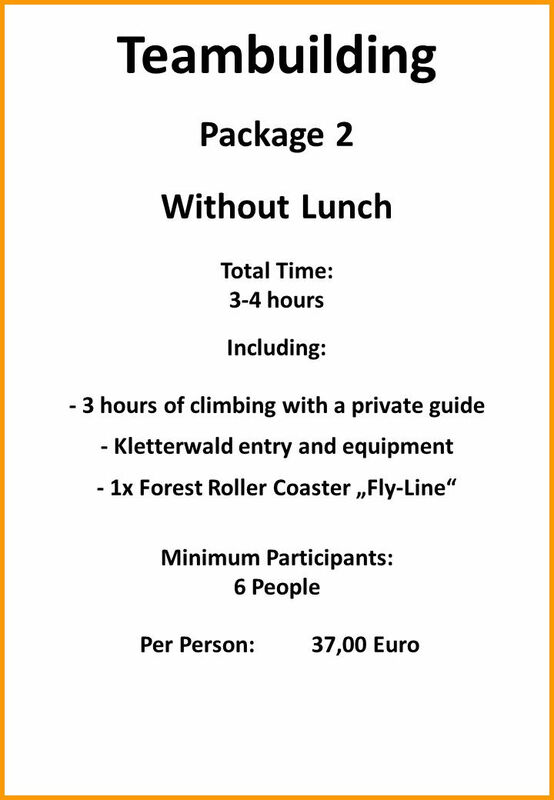 Rain or Shine, the dense foliage in the forest makes the Kletterwald the ideal destination for a team building event in Carinthia. 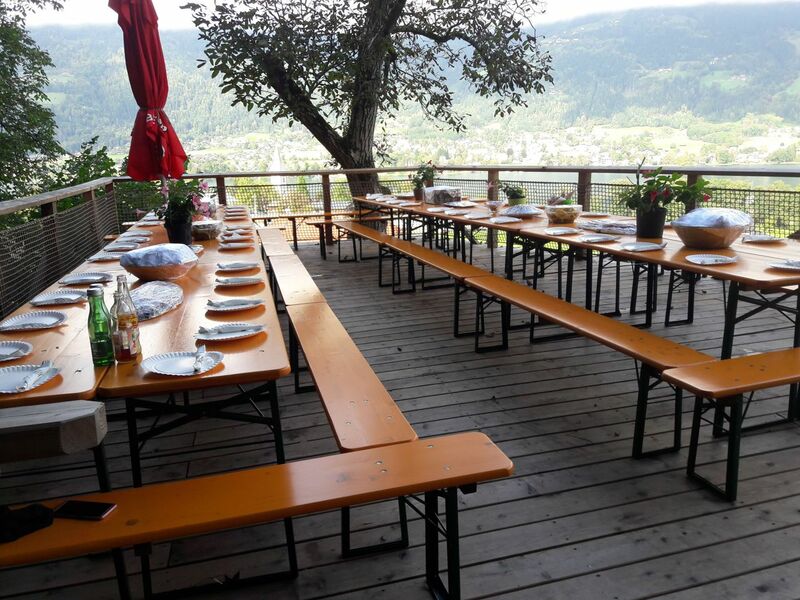 In addition to challenge and adventure, your team can relax and enjoy snacks and drinks or a “Kärntner Jausen” (see the Team Building Package 1) on the sun terrace overlooking scenic Lake Ossiach and the breathtaking mountains and landscape in the distance. 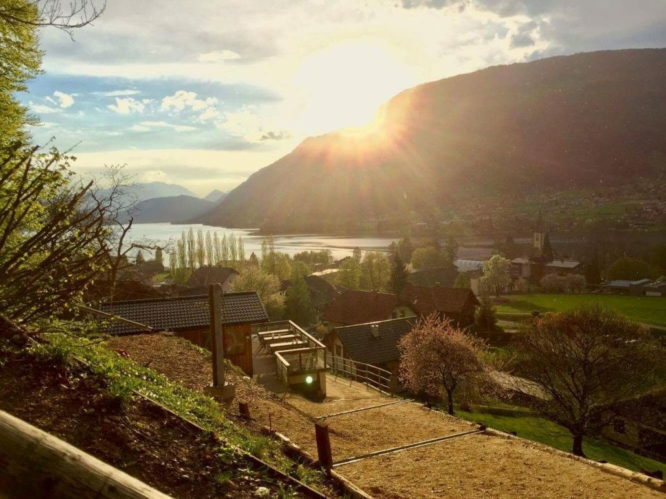 The perfect end to a perfect excursion with your entire team!